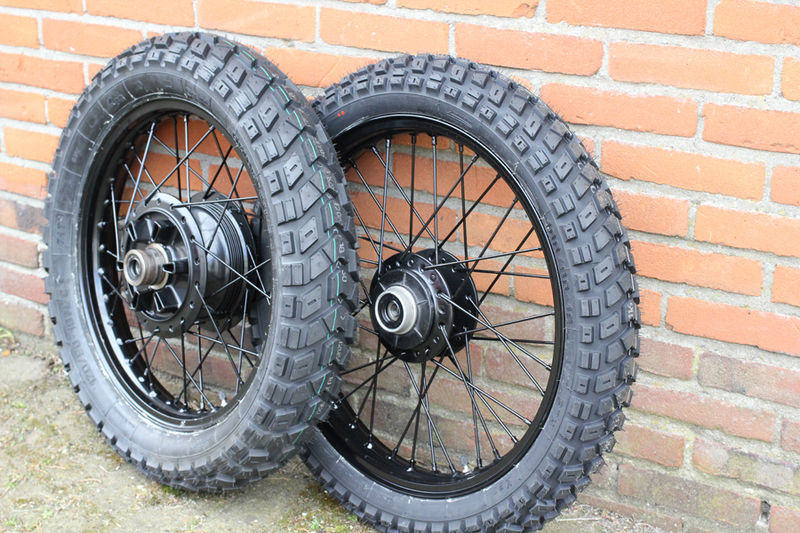 Heidenau K60 – 130/80-18″, looks really good on a XT & SR500 XS650 street tracker! Wide tire, fits the standard swing arm. Chainguard removal is necessary !